Can You Wear Paper? 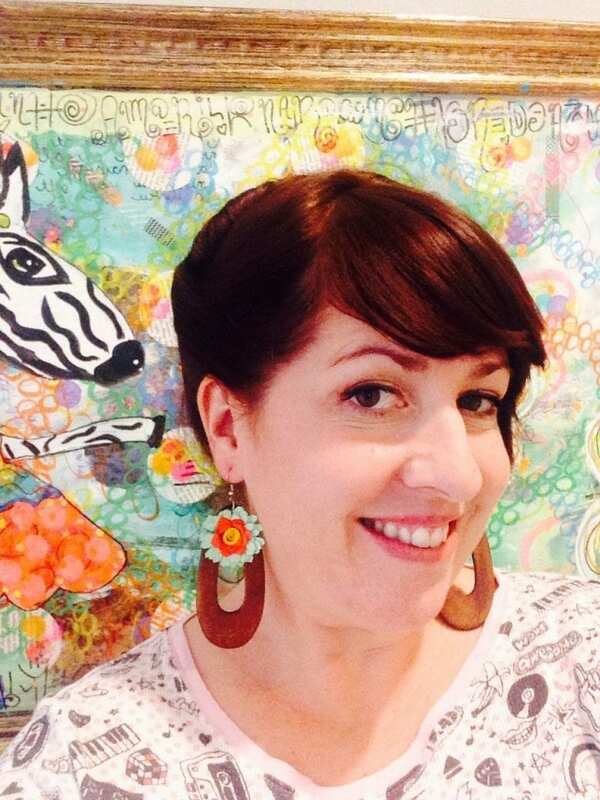 Yes, Make These DIY Quilled Flower Earrings! Can You Wear Paper? 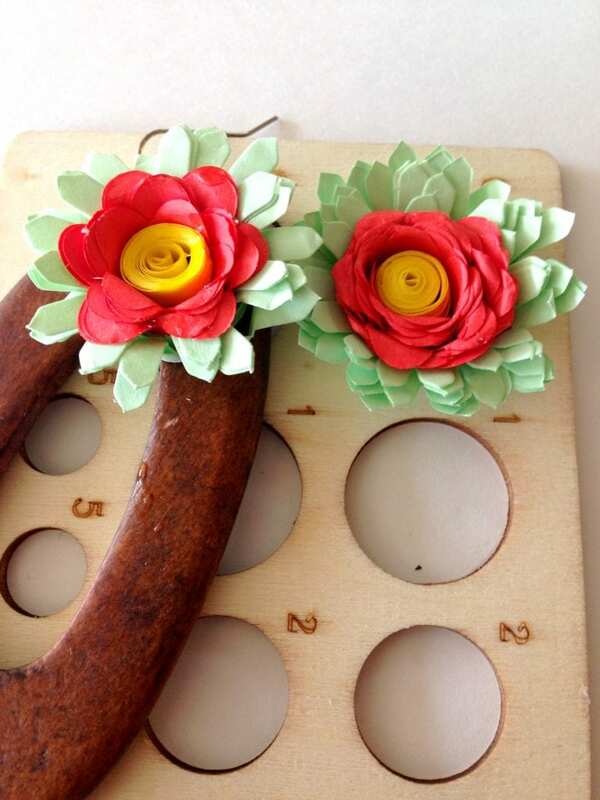 Sure You Can With These DIY Quilled Flower Earrings! What is exactly is quilled paper and is it hard? These are the hot burning questions that went through my crafty mind when I first set eyes on this paper quilling kit from 3Birds Designs. Lucky for me the nice folks over there sent me over a free kit to let me play with. 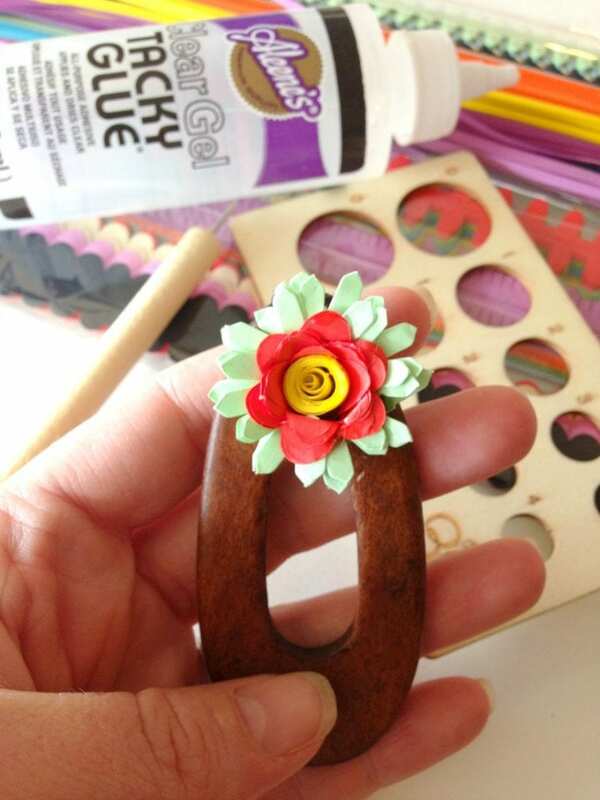 A ton of quilled paper flowers and brand new pair of adorable earrings later, I am officially a paper quilling fan. 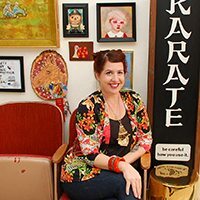 Kits are always a great gateway drug to a new craft. 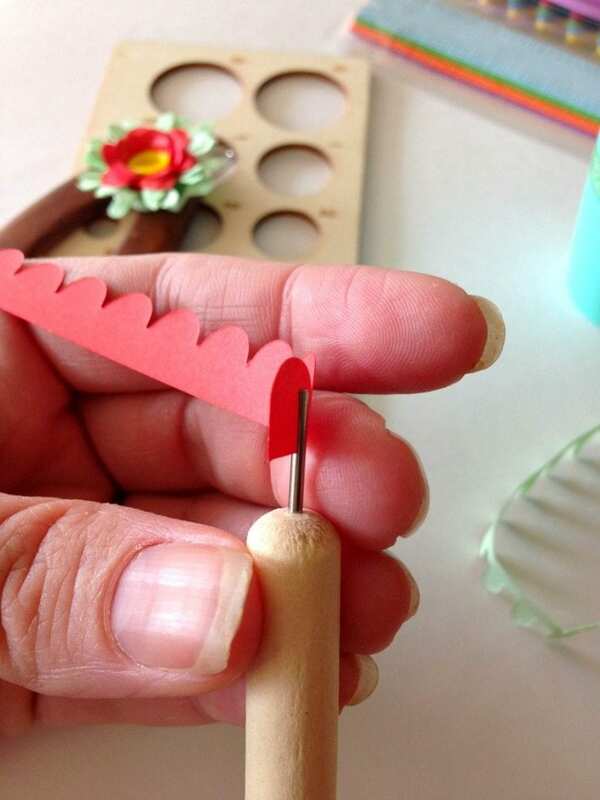 When everything you need including tools, pre-cut quilling paper strips and creative ideas come in a cute portable package what is not to love. Sometimes all the supplies involved in a new medium can be daunting, so a kit is always a great option and this one did not disappoint. Quilling is one of those crafts that has always perplexed me. I was never sure of the what, why and how of quilling. Now that I’ve got the basics of quilling down I am a jewelry making machine. 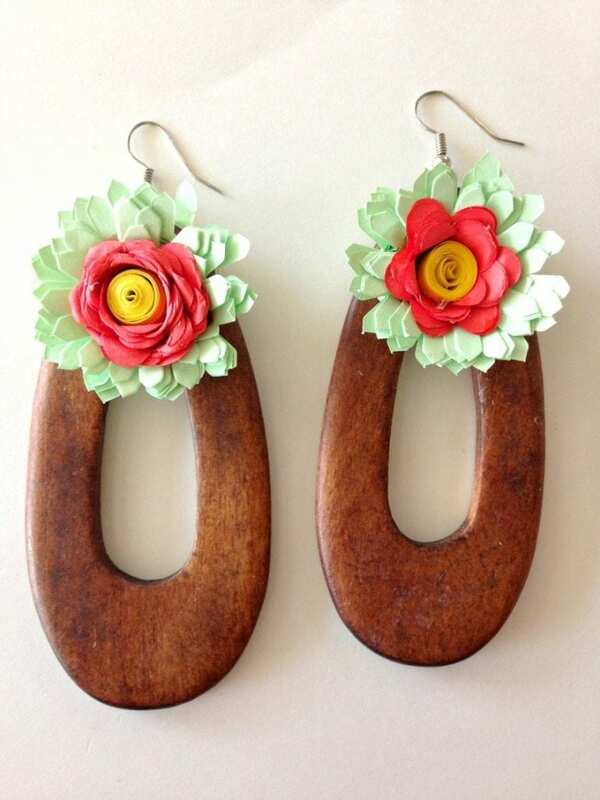 Just check out these DIY quilled paper flower earrings. 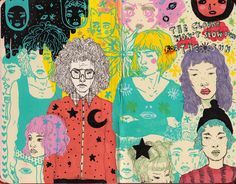 I love the colors and the way they came out. 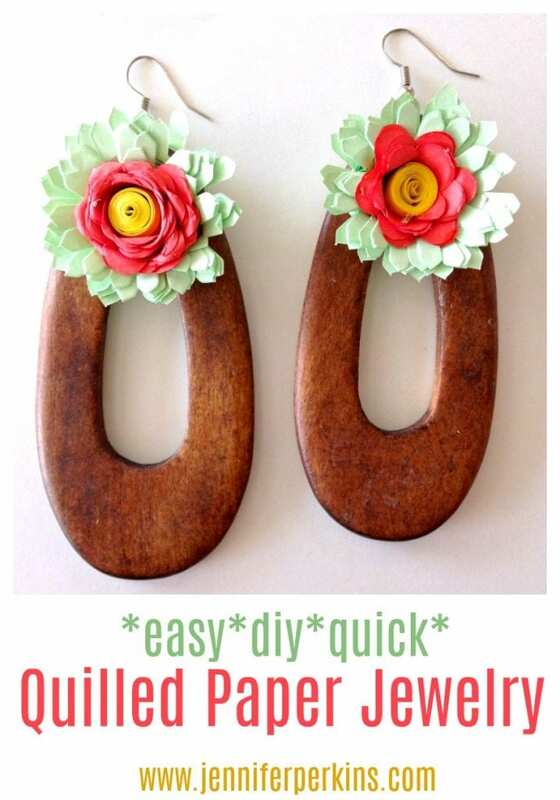 Want to make your own pair? Again I was lucky enough to get sent the kit, but the craft store has everything you need to quill your own pair of paper flower earrings. Plus you can always cut your own strips of paper and technically no mechanical quilling tool necessary for this project. Let’s start by explaining the supplies involved in quilling paper. First of all there are long strips of paper. Some of that paper has a decorative edge for making flowers. 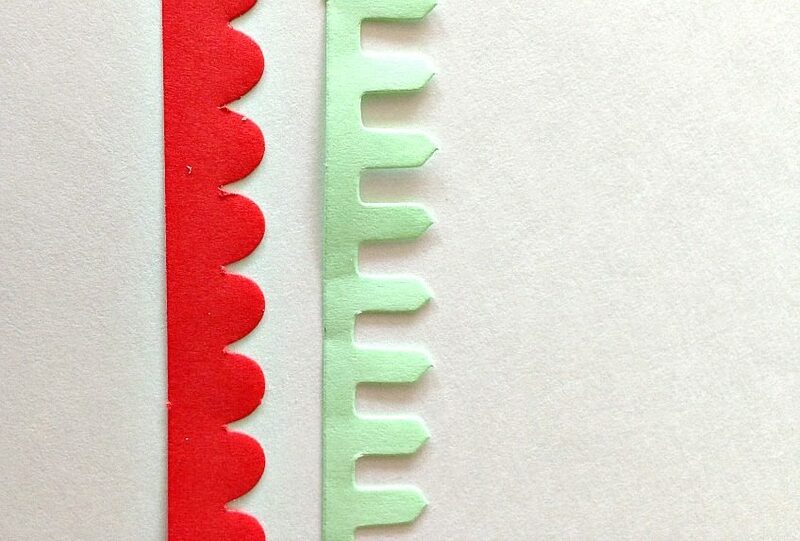 Again, you can cut your own strips of paper and use paper punches or decorative edge scissors to get this same effect. 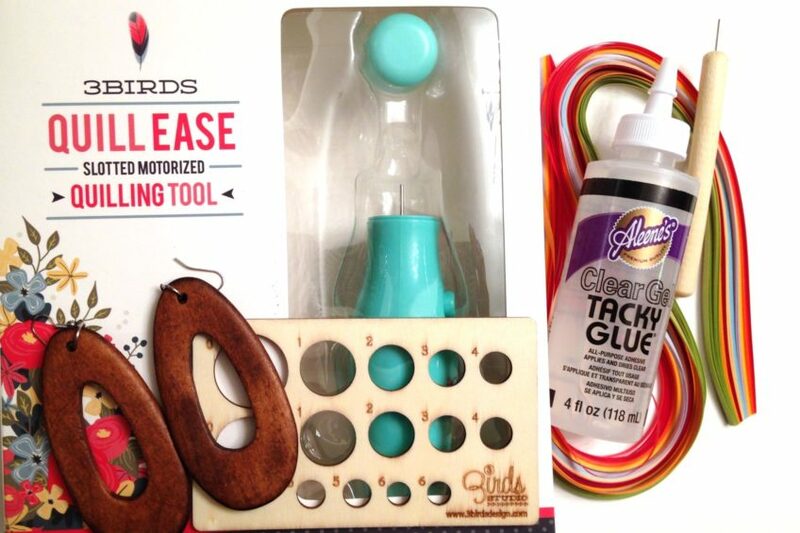 Next there is the electric quilling tool that comes with this kit. Again, not necessary but really fun and they make the whole process go lickety split! The tools have a piece of metal in the top about the size of an embroidery needle. The needle has a slot for you to stick your paper strips and begin to quill (twist). Next the kit comes with a wooden sheet of circle templates. After you have quilled your flowers and shapes you add a bit of glue so that they hold their shape. The circle template holds everything in place and for something like making earrings helps you get the flower for each side the same size. 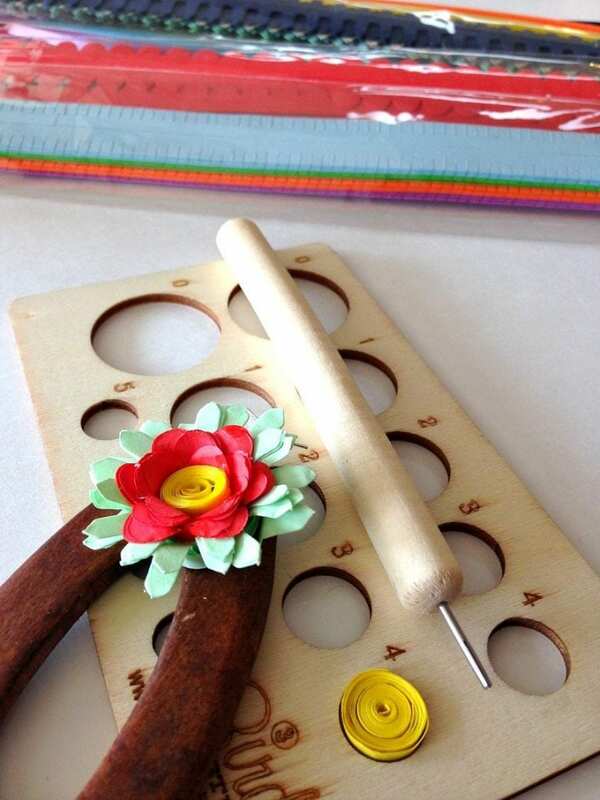 Once you decide on a design, color way and pattern it is time to start quilling your flowers. Your flowers can be quilled tight or loose. For the yellow centers I opted for tight. For the petals I used red scalloped quilling strips from the kit. In the end I actually used two strips of red paper. For the outer petals I used mint green strips from the kit. I really liked the different styles of strips – smooth, scalloped and jagged. 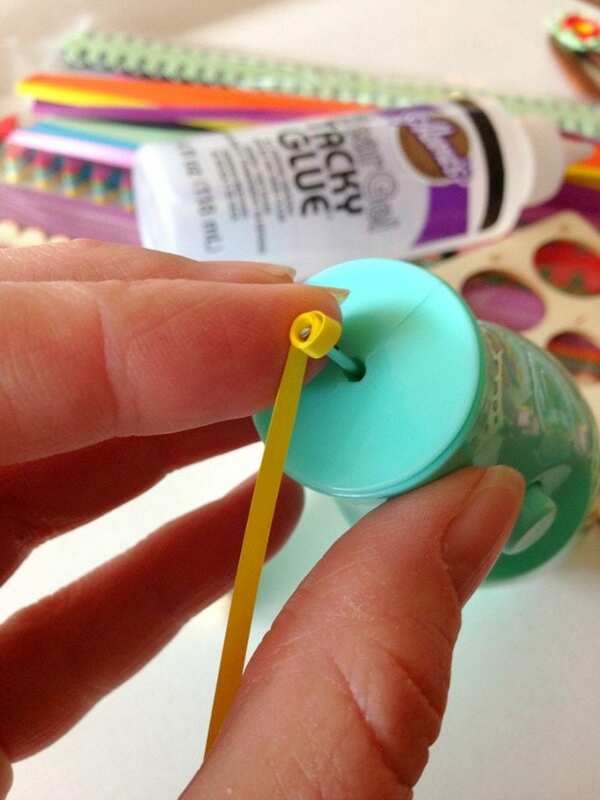 Glue the whole thing together when you have all the components using either craft glue or hot glue. 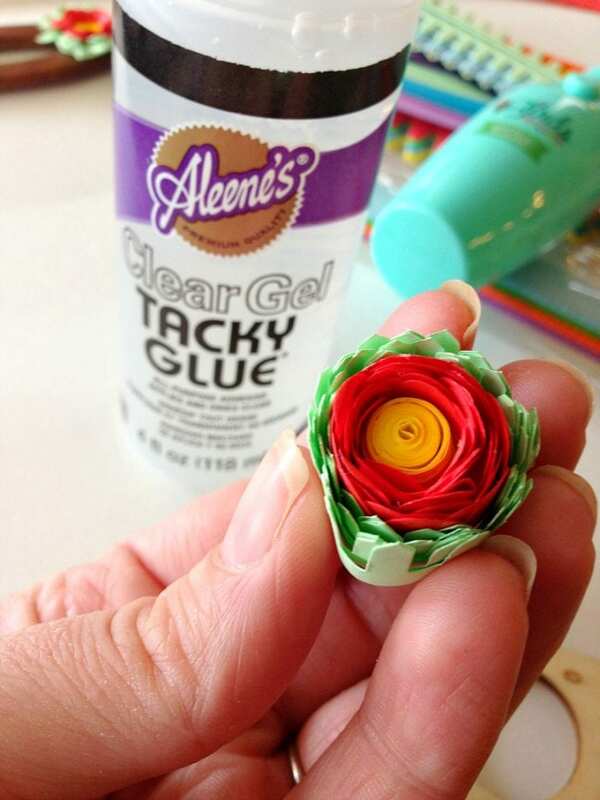 You can manually tweak the way the petals look on your quilled paper flowers. 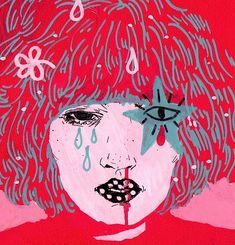 I used my fingers to press the paper and spread out the flower petals. Once the glue has dried on your quilled flowers it is time to decide what to do with them. 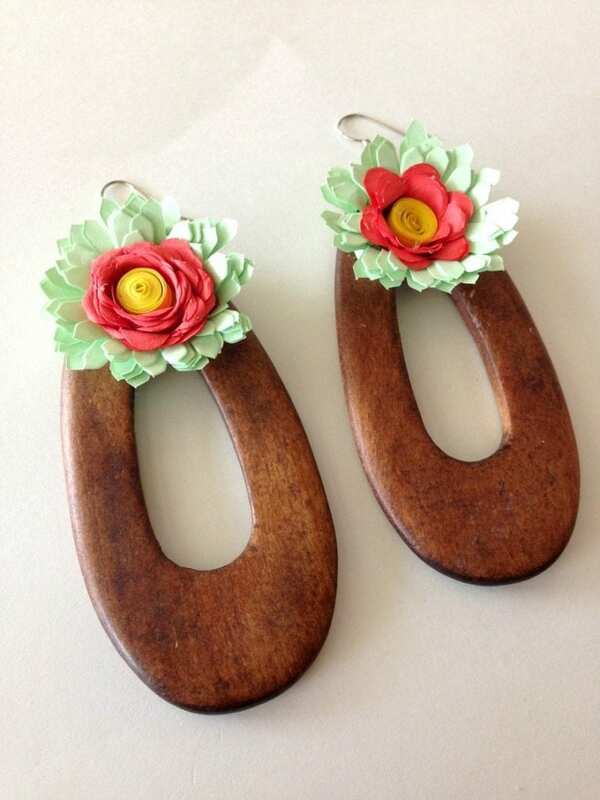 The flowers would look great on all kinds of paper craft projects as an embellishment but I decided to make them wearable and add them to a pair of ready made wooden earring. A quick Google search shows you that the possibilities of quilled paper are endless. 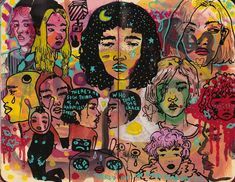 You can layer paper, use straight or scalloped paper, use multi-colored paper and more – lot’s more. My mind immediately went to jewelry. This is far from my first time at the paper jewelry rodeo. Check out my paper beads made from art journal pages, paper and resin necklace and collage paper bird nest brooch. Have you ever tried to quill paper? I bet you are thinking about it now. Next I want to make a big batch to add to possibly make a DIY floral topiary with or floral fro. Want more DIY jewelry ideas? Keep reading. 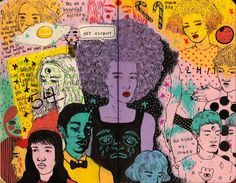 DIY Day-glo Necklace Display – You go to all the trouble to make your own DIY jewelry, only makes sense to make your own DIY necklace display too right? DIY This With Jennifer Perkins – How to Make Paper Bead Jewelry – Every Thursday I’m live over on the DIY Network Facebook page getting crafty. 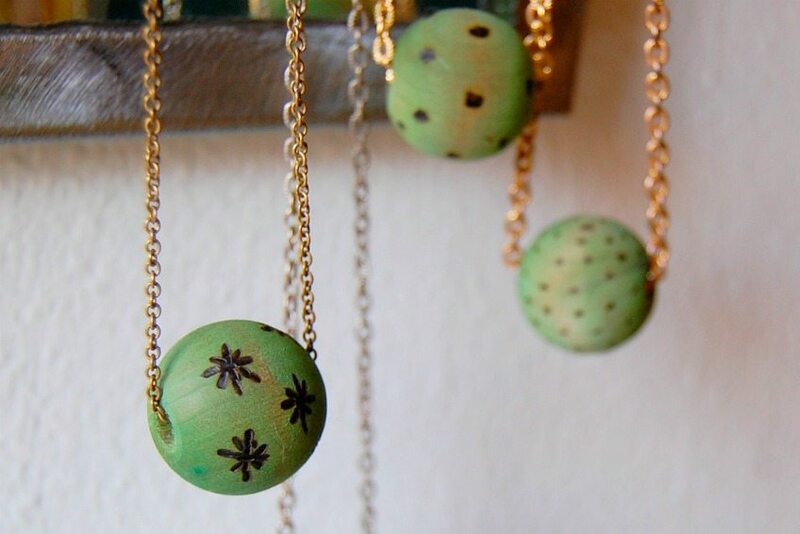 How to Burn and Dye Wooden Craft Store Beads for Jewelry – Plain wooden craft store beads are just little wearable DIY projects waiting to be born. 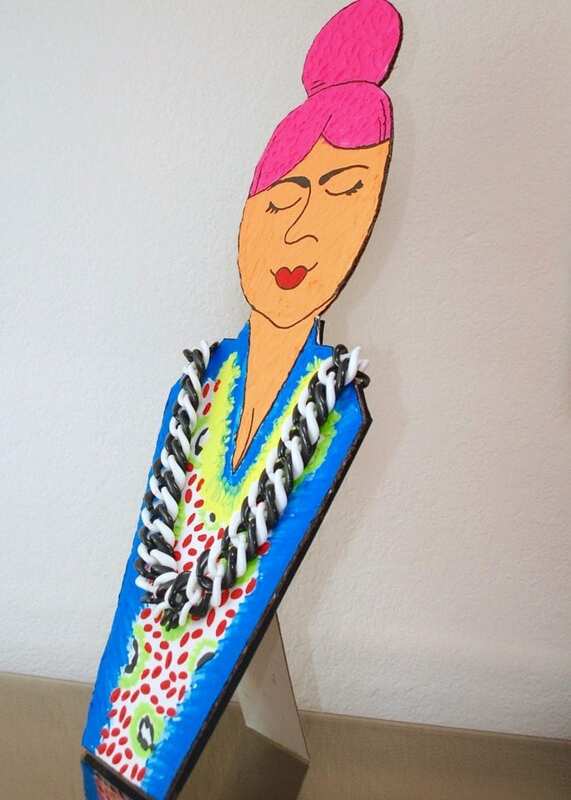 Posted April 3, 2018 & filed under Crafts, Paper Crafts, Uncategorized, Wearable Crafts.